With the help of scholarships and grants, students like you make their dream of a St. Norbert College education a reality. We know that a college education is an investment in your future. We also know that, for many, scholarships and financial aid are critical to making college affordable. That’s why more than 97 percent of our undergraduate students receive scholarships or aid. We’ll work with you and your family to determine how you can make a St. Norbert education a reality. Scholarships are a great place to start because it’s money that doesn’t have to be repaid. There are a number of different scholarships you might be eligible for, so begin with these, then explore a bit to see what else is out there. 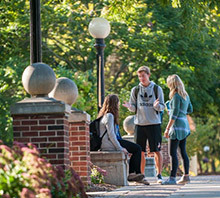 At St. Norbert College, we recognize your hard work in high school through a variety of merit scholarships. 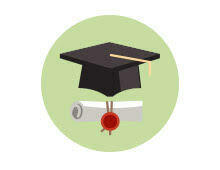 Merit-based scholarships range between $12,000-21,000 annually. We offer a series of specialty scholarships to recognize the achievements of students with particular interests and financial situations. St. Norbert College has a rich tradition of engaging students in collaborative research projects with professors. Our exciting Research Fellowship Program offers you the chance to work on a project collaboratively with faculty or staff members at the beginning of your college career. This paid research experience enhances your success in college and the resulting professional publication gives you a significant edge when applying to graduate school. There are hundreds of opportunities to apply for outside scholarships. These scholarships are awarded by employers, companies, high schools, and other entities outside of St. Norbert College. The criteria for these scholarships varies greatly. We encourage you to pursue as many of these outside scholarship opportunities as possible. You could earn a music scholarship at St. Norbert, whether you plan to major in music or not. The scholarships range from $500 to $2,000 a year, and they’re renewable for three additional years. Scholarships are awarded by audition. Students who have shown a commitment to creating a more welcoming and diverse community are eligible for a Rev. Ken DeGroot Multicultural Leadership Award of up to $4,000 a year for four years. ALIVE apprentices assist in running residence-hall programs (spiritual and social) that help students explore questions about values, beliefs, purpose and callings in life. Apprentices receive a $1,000 scholarship and an hourly wage.